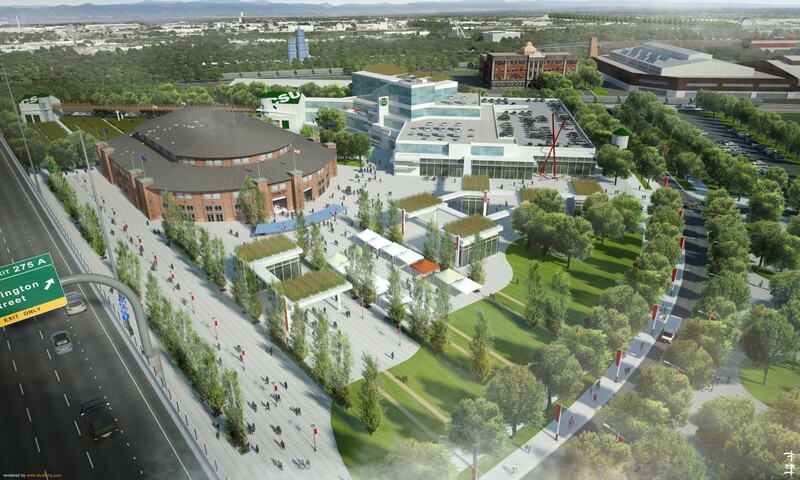 Denver Mayor Michael Hancock’s Office of the National Western Center has been accepted into two energy programs designed to help with the visionary transformation of the landmark National Western Complex and Denver Coliseum into a world-class hub for agriculture and innovation that also helps revitalize several surrounding neighborhoods. Now known as the National Western Center, the revitalization effort — which includes 250 acres of redeveloped land — is guided by a master plan adopted in March 2015 with involvement of several founding partners, including the City & County of Denver, Western Stock Show Association, Colorado State University (CSU), the Denver Museum of Nature & Science, and History Colorado. A Citizens Advisory Committee of residents, business owners, and other stakeholders from the surrounding Globeville, Elyria and Swansea neighborhoods is also an integral part of the project. Now, the U.S. Department of Energy’s Zero Energy District Accelerator and Xcel Energy’s Partners in Energy is providing support and assistance with the development of action plans focused on regeneration efforts on the future campus. The Zero Energy District Accelerator encourages the expansion of districts with buildings that have zero net energy consumption — meaning the annual amount of energy used by the building is equal to the amount of renewable energy it creates. Program benefits include assistance to develop a plan to create a zero-energy district, technical assistance from the federal energy department and national labs, nationwide recognition of campus commitments to advance zero energy approaches and technologies, and an exchange of lessons learned and successful development strategies with other program participants. Xcel’s Partners in Energy program offers participants tools and expertise to support community energy planning and will help the NWCO project team identify local priorities and create an implementation plan that leverages all available resources.